She’s making her (travel) list, and checking it twice! Alexander Wang Amelia Studded Shearling Slippers -- Slippers aren’t for everyone, but this shearling pair with embellished silver studs look comfy enough to wear inside with a robe and stylish enough to wear outside with a flowy dress. 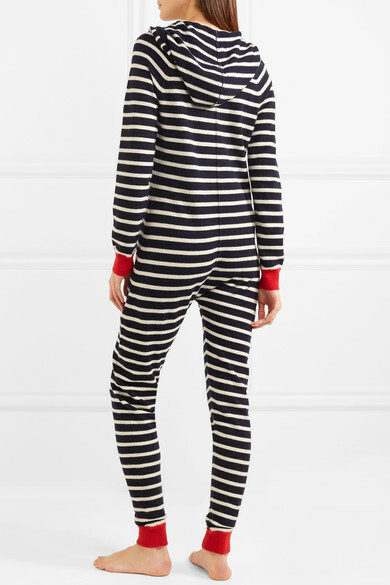 Chinti and Parker Striped Cashmere Onesie -- It wouldn’t be the holidays without a playful onesie, right? There are endless onesie options out there, but if you’re looking for a luxe version, this is it. Made from super soft cashmere that is cozy, but not too thick, I’ll be spending a lot of time lounging in this guy (especially in cold Colorado where I’ll be for New Year’s Eve!). 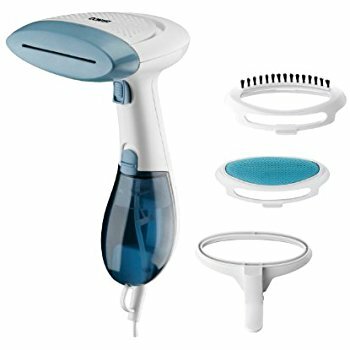 Conair ExtremeSteam GS38 Handheld Fabric Steamer -- There’s nothing worse than unpacking for your holiday vacation and finding wrinkles in your clothes. So, I always travel with a handheld steamer to ensure my items look their best. This one from Conair is consistently top rated for its efficiency and effectiveness. FRENDS Layla Headphones -- You can usually find me working on a plane, but I can also be found listening to some good tunes or interesting podcasts to help make flights more enjoyable. These chic metallic and leather headphones are designed to match "your every outfit, mood or style” which is music to my ears. Plus, they’re on sale! Gucci GG Marmont Cosmetic Case -- A good compact cosmetic case is essential no matter where you’re going. And this Gucci one is the perfect size for holding all my favorite beauty items like Edward Bess Cosmetics, ToGoSpa lip masks, and Hourglass brow pencil.